BAS and IAS are directly inputted into the Tax Office Portal for speed and efficiency. Raise and send your customer invoices as well as debtor management to ensure your customers are paying on time. We can also chase any outstanding debts. Enter your supplier payments and reporting of your bills to pay to manage your cash flows and future obligations. Whether you have 1 or 50 employees we can manage your payroll, payslips, group certificates and PAYG / Superannuation obligations. Help you manage your stock and inventory tracking. Entering, tracking and reporting your income and expenses for separate projects or jobs. We separate business and personal expenses according to your usage. Ensuring the integrity of your accounts. Reporting according to your businesses needs so that you can know how your business is performing. 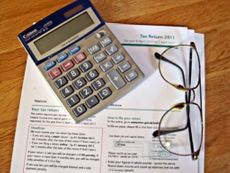 We can support you in managing your tax affairs. We tailor the set up your company file to your businesses needs to maximise efficiency and effectiveness.